February is almost over. Only a couple days left to celebrate National Pancake Month ...well, by making some pancakes. Pancakes are one of the easiest foods to start making from 'scratch' and to stop buying mixes for. You'll never have to buy a mix again once you start trying out and finding recipes you like, and they are rarely complicated or difficult. If pre-made frozen pancakes are your weakness, try making a batch from homemade during the weekend, and freezing them. They are really tasty out of the toaster on a hurried morning. You can even take them in the car with you if you nix the syrup and roll them up with a little butter inside. We are always trying new pancakes around here. 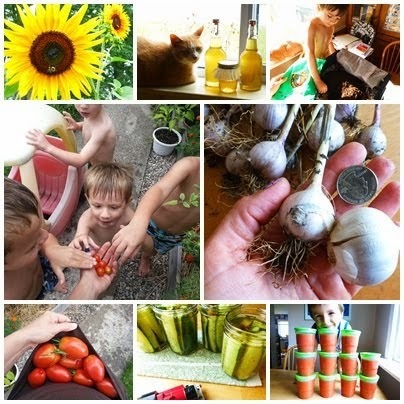 I gathered up 5 of our favorites for one post! Try one by the end of February...and then make sure to try the 'bonus'--The Gorgeous Green Pancakes will take you right into March. Green pancakes for St. Patrick's Day? Yes, please! BONUS! Just found it last week! 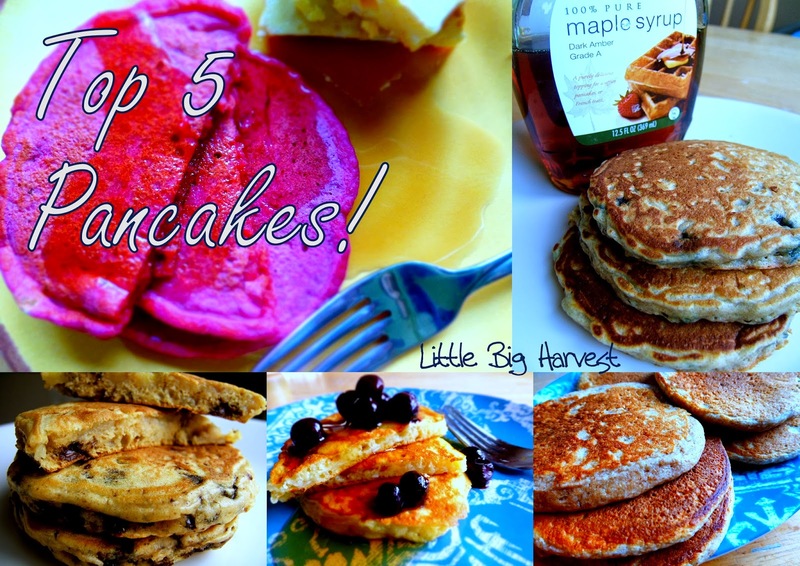 If NONE of those struck your fancy, here are the links to 5 MORE pancakes I've blogged over on my recipe blog! We try new pancakes all the time. I'm a real pancake addict, what can I say? I don't know but I like unusually colored food! I think I never made and tasted a pancake before. I have to start somewhere. Thanks for sharing on the blog hop! Nihal, the beet pancakes are just so beautiful! And they taste wonderful, too. Thanks for hosting the blog hop...love your blog. Pretty Treats for Our Feathered Friends!